From rhinos to #CecilTheLion, we live in a world where stories of species loss and illegal wildlife trade dominate the conservation headlines, so a good news story every now and then is a welcome surprise. Three years ago, 63 bison originally from Yellowstone National Park left a quarantine facility just outside the park’s boundary where they were being monitored for brucellosis and made the journey nearly 400 miles to the Fort Peck Reservation in northeastern Montana. 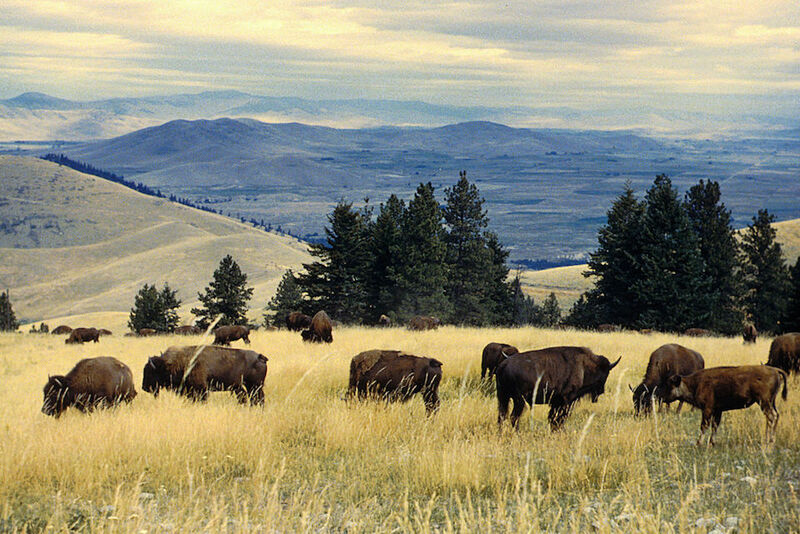 The transfer, which brought bison back to a stretch of the high country prairie from which they had been absent since the 1870s, was part of a larger program aimed at moving the animals to remote locations across the West to boost resilience to diseases that could wipe out a single herd. Late last year — due to the combined efforts of Defenders of Wildlife, National Wildlife Federation, World Wildlife Fund, InterTribal Buffalo Council and others — an additional 138 Yellowstone bison joined the original herd on the reservation. Combined, the Assiniboine and Sioux tribes now manage nearly 200 free-ranging bison over close to 13,000 acres (5,260 hectares). Facts and Opinions is a boutique journal, of reporting and analysis in words and images, without borders. Independent, non-partisan and employee-owned, F&O is funded by you, our readers. We do not carry advertising or “branded content,” or solicit donations from foundations or causes. Please support us, with a subscription (click here for our subscribe page) or a donation, and/or by spreading the word.